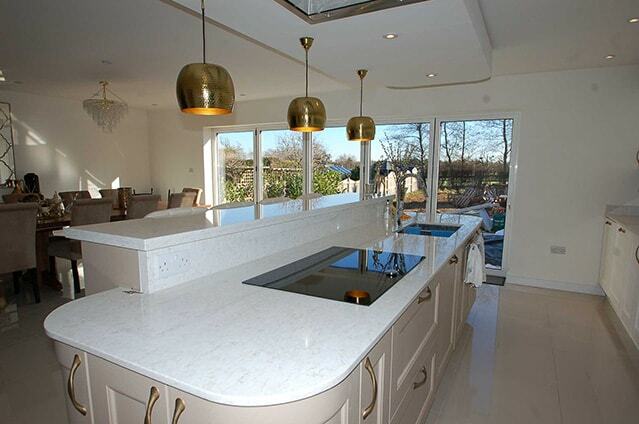 Today’s dreams are tomorrows reality with our Modern Kitchen design and supply service. 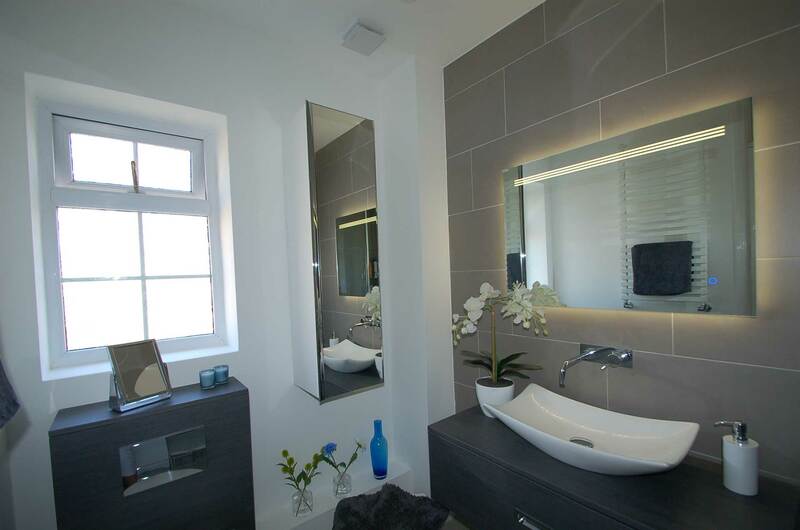 Whether you opt for supply only or full design, supply and installation we have options to suit evryone. 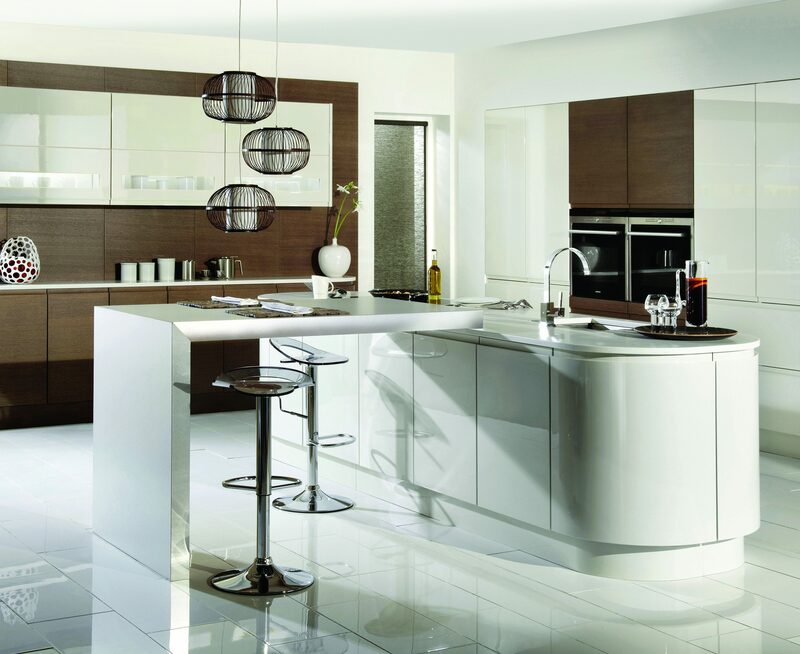 A handleless kitchen is a kitchen which offers style and a streamlined finish which give a clean and contemporary appearance. The smooth lines allow for a transition between rooms making it perfect for open plan living. Without the presence of handles the kitchen is allowed to flow throughout the room giving it an uncluttered look with a very sleek finish. Slab door designs, ie: a flat door, are a smooth canvas that can be customised to suit a range of environments. 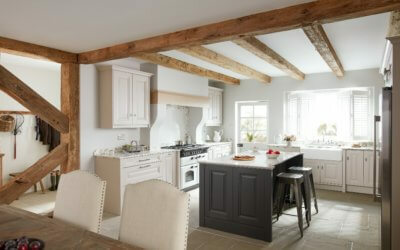 Whether it is a simple functional budget kitchen, or a high-design aesthetic look in vibrant colours. 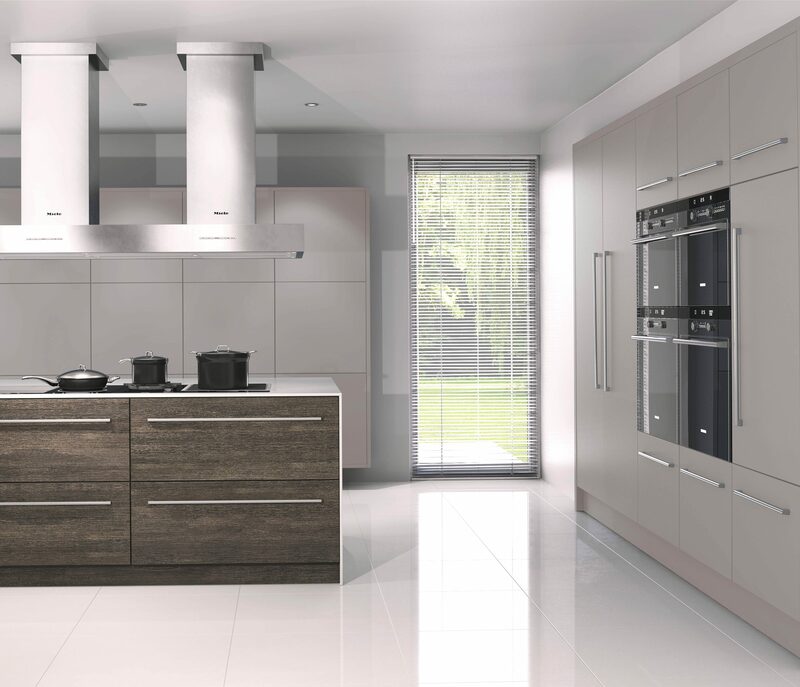 For low maintenance choose matt finishes over gloss and they are easy to keep clean, & look very sleek. Modern designs have moved on from the once clinical white or red gloss. We have noticed a sway towards the many beautiful neutral shades (champagne, mushroom, cream or grey to list a few). When choosing soft colours it will bring character to your kitchen, and dependant on the colour can be very easy on the eye. 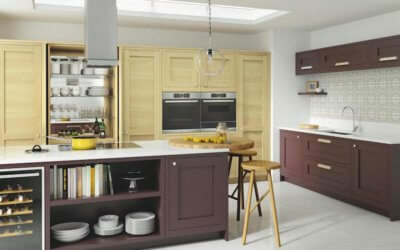 New engineering techniques have also helped give new life to a material that was previously out of favour with melamine face doors in many different finishes including wood grain and stone effects. 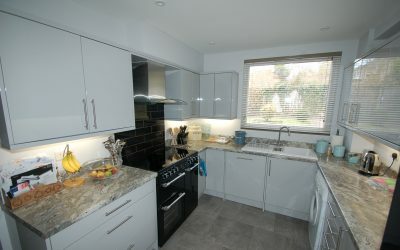 A handle-less kitchen has no handle projecting from the front but it still needs to have something you can pull on to open the door or drawer or a mechanism which will open the door when you push on it. This J Profile door has a shaped top so that you can pull it open. It has the advantage of being simple, giving you clean lines and is relatively inexpensive. 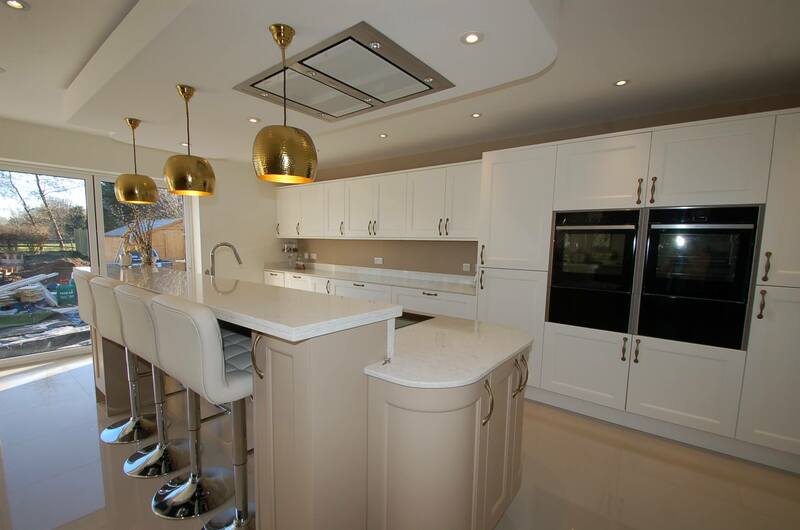 We have a wide variety of finishes and colours to browse at our showroom. 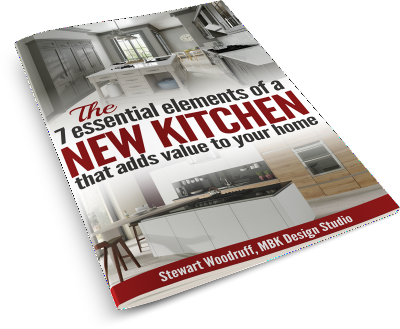 Investing in a new kitchen in your home is one of the best ways to add value to your home. As you'll know, a great-looking kitchen helps sell a property. Even if you're not thinking about moving for a while, you can make simple choices about the design of your new kitchen that allows you to enjoy it AND maximise the value of the kitchen for the day when you do choose to sell. What brands of appliances are highly desirable and fashionable. Additionally, learn what type of hob and oven you should be putting into your new kitchen. What colour schemes, materials and effects give an attractive finish to your kitchen that will appeal to most potential buyers of your home. What type of worktop is the most durable and easiest to maintain, so that your worktops stay looking clean and new, yet still giving a 'wow' factor to your kitchen design. To speak to Stewart about your project call 01622 616 065 to book a free no obligation design consultation. We have over 200 doors and displays over two floors. Simply click below and provide us with your contact details and we will schedule in a chat.